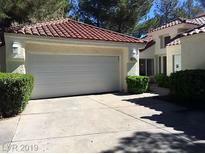 Find Spanish Trail, NV Foreclosures for sale. View Photos, Maps and MLS Data Now! Villas At Spanish Trail - Home Is Being Sold As Is Without Warranties Or Repairs. Reo. MLS#2087979. Coldwell Banker Premier. Estates At Spanish Trail - Gorgeous Manicured Lawns W Landscaping Front & Back, Double Door Entry, Sparkling Pool & Spa, Covrd Patio, Exquisite Hardwood Floors, High Ceilings, Crown Mlding, Floor To Ceiling Bookshelves, French Windows, Chandeliers, Huge Family Room, Bar, Mstr Suite. MLS#2082977. Silver State Realty & Inves. Springs At Spanish Trail - Large Kitchen With New Appliances. Spanish Trails Offer Many Amenities. MLS#2080996. Power Real Estate.